Noble Locks TZ08 Wedge Profile Lock Perp (D132) (CA-1033393438) | Replicafer Co. 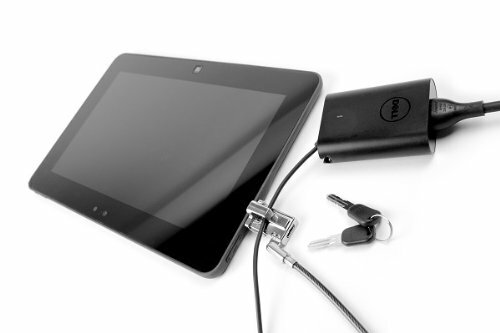 The Wedge Profile Lock low profile design provides a low profile security lock for your Dell tablet and Notebooks. The lock has a patented peripheral trap to secure your charger and any device that is connected to your tablet. Kit includes TZ08T Wedge Profile Lock, Keys, Peripheral trap, stainless steel braided cable and instructions. If you have any questions about this product by Noble Locks, contact us by completing and submitting the form below. If you are looking for a specif part number, please include it with your message.